Babdown Farm is three miles west of Tetbury, Gloucester on the A4135. 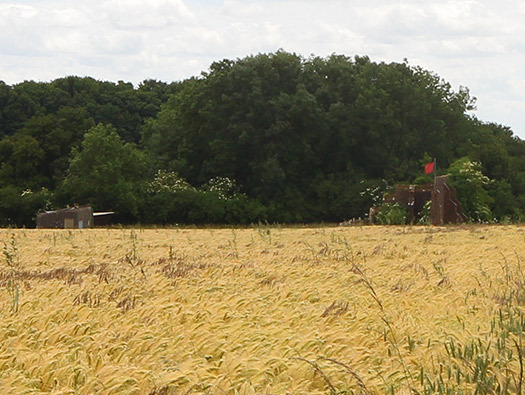 At the main entrance there is a large sign saying Babdown Airfield, so it is easy to find. Opened 1940 - Closed - 1948. Three grass runways at least two have Sommerfeld tracking. 4 x Double Blister hangars. 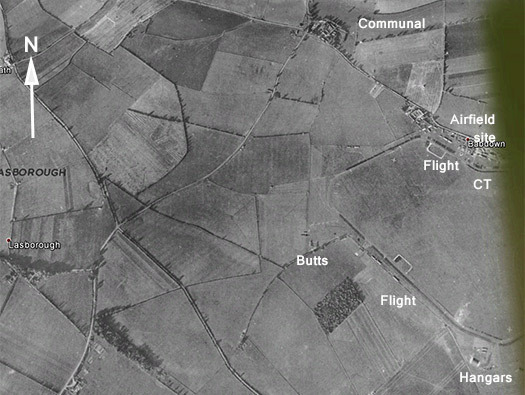 The technical site is all together on the airfield red square with several dispersed accommodation sites yellow circles, one at Baverstone Old Brake and Broad Newell Covert (top right) and another at Calcot farm by the Hotel (top left). Also there were buildings along the road side and in Babdown Farm (airfield site). The white arrows are the walk we took. Blue square the 25yd rifle range . It is marked on the maps but we did not get a chance to find it this time / we did in 2015 but they were firing black powder guns and so we could not get very close. A 1945 picture, the oblong loops are refueling points for one flight of aircraft with flight offices just off the airfield. The control tower watch office was on the north side and hangars just off to the south side. Douglas A-20 Havoc / Boston doing a low flying over the Butts. Coming along the A4135 a sign post showing you the main entrance. The control tower was removed some years ago. A 50ft perimeter track running right around the landing ground. The hangars are across the far side of the airfield. The first T1 hangar. The T1 hangar was a smaller version of the T2 the main hangar for the RAF for WW2. T1 door 2/3 size of a T2. The view inside a T type hangar. Technical site plan. 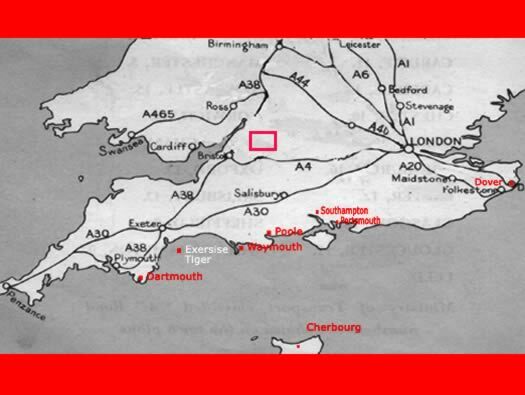 This layout is based on the RAF expansion schemes of the 20's & 30's. 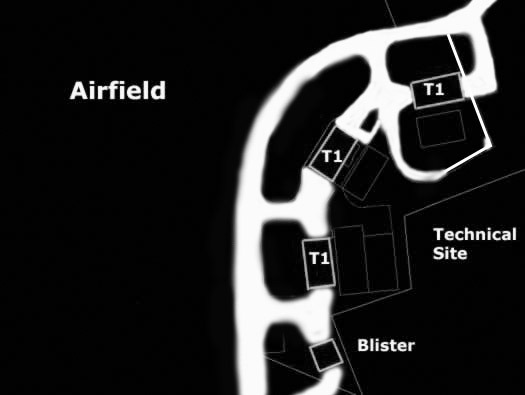 All the airfield and technical sites would be grouped around the hangars which would be in an ark and the communal would be behind. 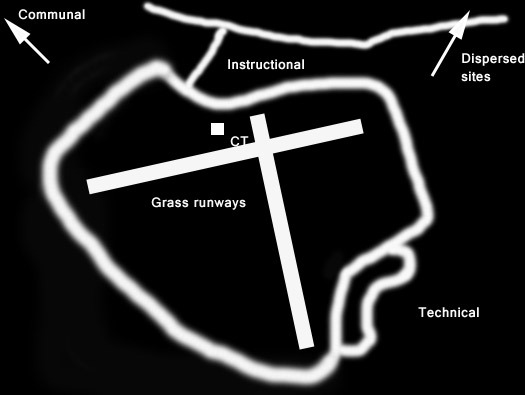 As the war progressed this designed changed and communal, airfield and instructional sites were dispersed, here to the north of the airfield. Airfield layout, the runways were all grass and Sommerfeld matting laid over. A side road from the hangar to the perimeter track. Nice view of the front doors, on a T1 the building is lower than a T2 so the doors are about 3/4 height. T1's were mainly used on fighter and training airfields where smaller aircraft were used. You can see the door on the original T1 above and the 3/4 door. Inside a T1 hangar at RAF Bibury. 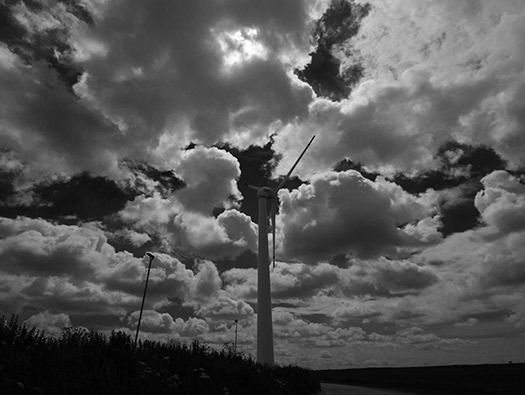 The full size picture of the T1 7557/41 90ft 4inch span x 175ft long x 19ft high. 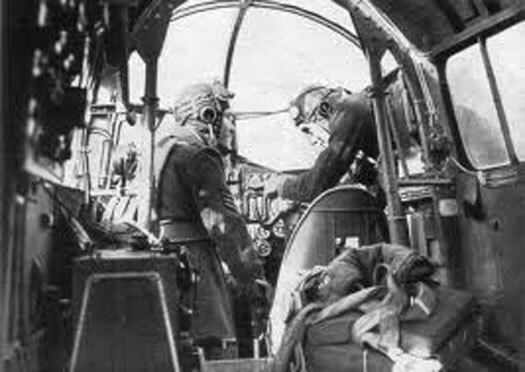 By 1941 Hurricanes and Miles Masters were used for night flying. Building a T2 which was slightly bigger. The second T1 now re clad as a factory. History : March 1942 Babdown was redeveloped into a full Relief Landing Ground standard by laying two and then a third Summerdale tracking runways. By June more blister hangars were placed around the perimeter track. 1942 added Blister hangar on the south side of the airfield. Blister hangar with curtain doors.. Dispersed flight office and refueling area. Third T1not re-clad and looks a bit sad. Third T1 they were pained black after the war as a preservative. History : Spitfires of 52 OTU arrived, then 15 (P) AFU. By June 1945 the last aircraft left, went into care and maintenance and then 7 MU used it until January 1948 when it was closed. This is not a hangar but a standard modern factory but it has a Spitfire on the side, why?? Double Extra Over Blister hangar 9392/42 69ft span x 90ft long x 20ft high. View out of a Blister hangar. Roof of a Blister hangar. Double Extra Over Blister hangar. The technical site is to our right with the airfield on the left. It had two runways of Sommerfeld tracking and later a third was added. A small caravan would park next to the runway in use and with a coloured light and a Very pistol. Perimeter track running north, the control tower would have been on the left and all the other training buildings on the right. The actual parachute store now removed. Crew rest, locker and drying rooms. Most airfields had these. Drying room for flying cloths. Path down to the 25yd machine gun range 147/41. 25yd machine gun range 147/41. On the right the receiving butts where a pile of sand and a row of target. 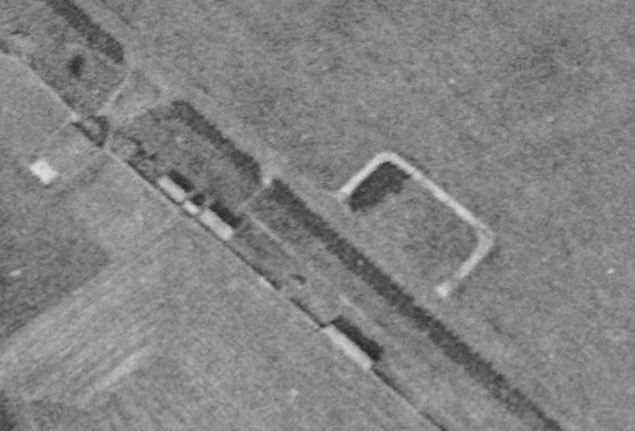 On the left a long shed with two huts either end, one for targets and one for the armourer and in the middle a covered area to fire from. Covered firing point to shoot from. This hut is in the grounds of Babdown Farm where the airfield gets its name from. The round structure I have no idea what it was for or if it is contemporary to the airfield. The entrance to the dispersed camps in the woodland and on the left is the base of a Picket Post. Picket post. Picket posts were for security, A corporal would sign you in and out of the camp. Plan of the dispersed sites. 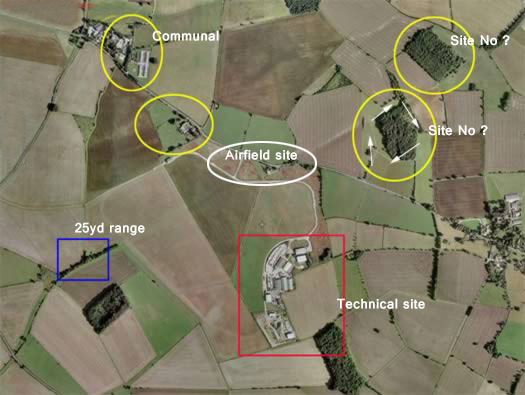 Dispersed site on an RAF airfield. Behind the trees was a living site. Ablutions block. Most living huts had no toilets so there were several toilet blocks laid out around the camp. Iron window frame made by Crittall. The far woodland was another dispersed site but we did not visit it. The remains of many huts. 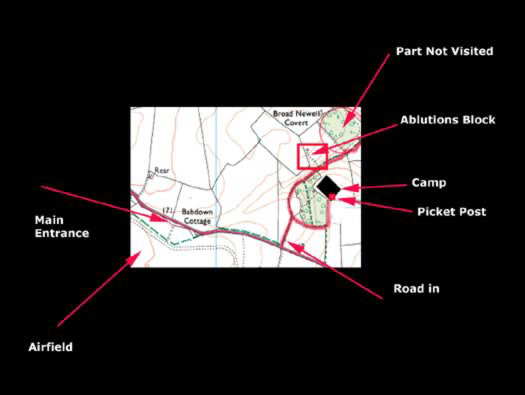 Picket Post type 'B' plan.